When Pea befriends Claude, a man who seems to love the meadow as she does, she wonders if he could be a new papa. But why do the other villagers view Claude with suspicion, and what secrets does his large empty house hold? Beautifully written, haunting, and full of surprises, The Night Rainbow is a novel about innocence and experience, grief and compassion, and the blessings and perils of imagination. "One of the most remarkable features of "The Night Rainbow" is the language, shaped entirely through Pea's perceptions. The children's powerful imagination and cleverness define the narrative...King's story of a young child's quest for a light in the profound darkness of her life reaches deep into the complexities of human consciousness." -- "ShelfAwareness""" "With a narrative voice reminiscent of young Jack from Emma Donoghue's Room, observing evreything but lacking the wisdom to truly understand the grown-up world, this surprising and enchanting first novel is enthusiastically recommended." -- "Library Journal""" "King accurately captures the speech rhythms and partial understanding of a small child. Well-written and sometimes quite moving." -- "Kirkus Reviews" "Poetic, engaging...King's authorial voice shines through Pea, as her skillful narrative is childishly authentic without being cloying or cutesy. Reminiscent of Myla Goldberg's "Bee Season" and Emma Donoghue's "Room" but decidedly lighter...Gorgeously written and deeply heartfelt." 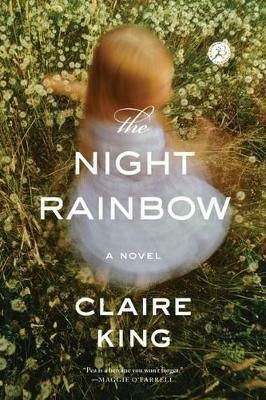 -- "Booklist"
Claire King was born in England, educated at Cambridge, and is the fiction editor for The View from Here magazine. Her short stories have been shortlisted for the BBC's Opening LInes program and the Bristol Short Story Prize. She lives in the south of France with her husband and two children. This is her first novel.